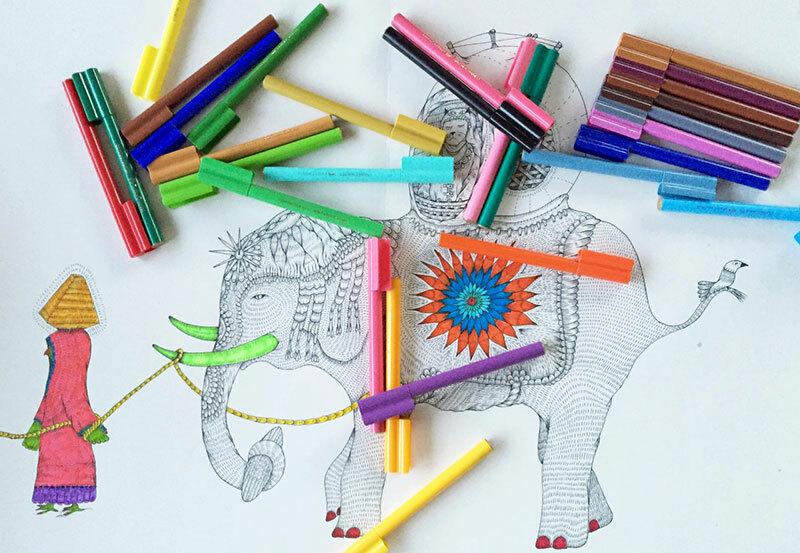 Colouring is making a crazy comeback – not that it ever went anywhere – but it’s most definitely more popular than ever right now, for both the young and the young at heart! We first made mention of this brand with their stunning Sunday Morning Designs pillowcases late last year and we can’t resist bringing them back into the spotlight with their awesome colouring posters. 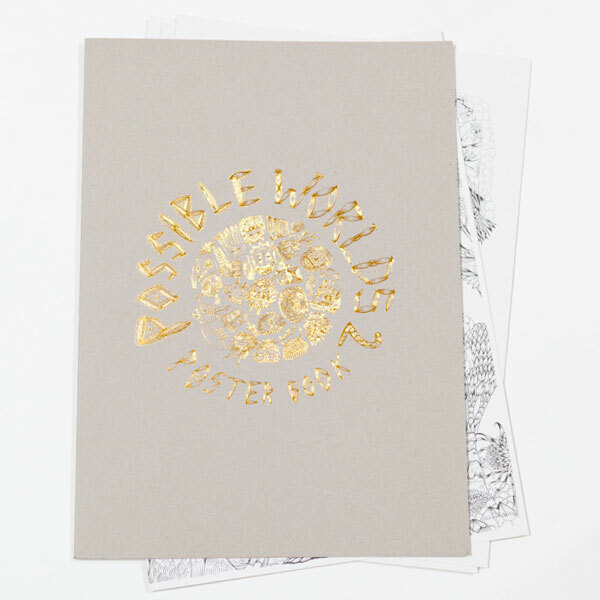 The Possible Worlds 2 Poster Book is an artwork in all of its gold embossed glory. This neat book containing eight 29cm x 42cm sized black and white posters, each designed in intricate detail by the talented Dylan Martorell and printed on recycled paper. Priced just $25 for the book of eight posters, it’s money well spent for entertaining a crowd of kids! Order the Possible Worlds 2 Poster Book direct from Sunday Morning Designs.